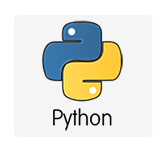 When loading a module, the Python interpreter first tries to load a byte-compiled version of the module (a .pyc or .pyo bytecode file) from the system. If it doesn't find one, it automatically byte- ompilesthe module, and in case the permissions given to the user who is executing the command allow, a bytecompiled version of the module is saved in the disk for a later user. Note that it is a good idea tobytecompile all files before giving Python access to users who cannot save in that source directory. The script reads the directories that are informed as arguments and compiles all the files that it finds there. If no directory arguments are given, the routine uses the sys.path variable. Note that the current version doesn't recur down into subdirectories of a package. Another implementation detail is that it only recurs into the maximum number of 10 levels. (This number is hard coded in the module's code.) Also note that to generate both .pyc and .pyo files, you will need to run Python twice —once without the -O flag and once with it.